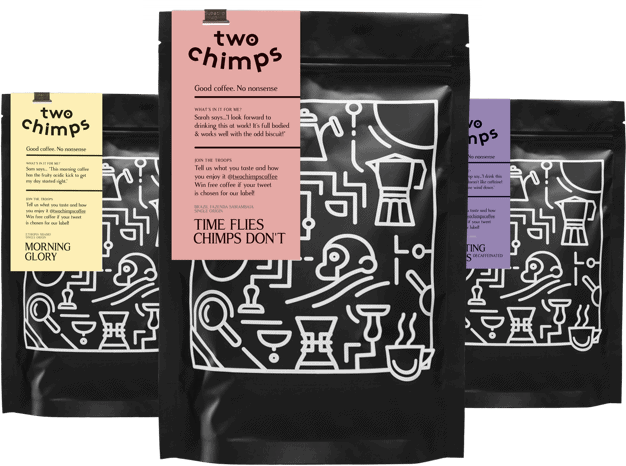 Here at Two Chimps Coffee, we love smaller, independent businesses. Another company that shares this ethos is, surprise surprise, a local coffee shop. Wanna know the best bit? They serve Two Chimps Coffee as their house coffee at Off the Beaten Path! Off The Beaten Path is a coffee shop nestled at the top end of the high street in Melton Mowbray and has been serving food and drink to the returning public since 1999. Wayne and Lynne wanted to open a coffee shop because they were sick and tired of going into other coffee shops and not enjoying their experience there. All you have to do is take a quick look at their gallery of photos on their website to get an idea of the delicious food they serve every day. From cakes to pies it’s safe to say your taste buds will be tingling after a visit to these guys! They are also TripAdvisor’s No 1 Coffee Shop in Melton Mowbray and TripAdvisor’s No 2 place to eat in Melton Mowbray. I think it’s safe to say that Off The Beaten Path well and truly take the cake when it comes to serving great food and drink. What actually is the House Coffee at Off the Beaten Path? As well as serving fantastic food to their customers, Wayne and Lynne now serve Two Chimps as the House Coffee at Off the Beaten Path! They have their own custom coffee blend which is aptly named ‘The Beaten Blend’. This unique combination was created with the help of a handful of their customers too. Along with their custom blend as an espresso, the team currently serve ‘How Many Is A Brazilian?’ through a cafetiere and the decaffeinated ‘Knickers & Gnomes’ also through their espresso machine. So, there we have it. I don’t think you need much more convincing to take a little trip and try the house coffee at Off the Beaten Path. All this coffee talk is making me thirsty! Is it you? Then grab yourself a bag of freshly roasted coffee today.